Your network can be a competitive advantage. Maximizing network flexibility, availability, and ease-of-use will be a key driver for organizations to enable business success. When wired lines are too costly or not available, utilizing Advanced Edge Routing (AER) solutions that combine 4G LTE overlay networking, cloud-management, advanced security (UTM), WAN Diversity, high performance WiFi, and dual modem capabilities allows intelligent networking at the Edge. 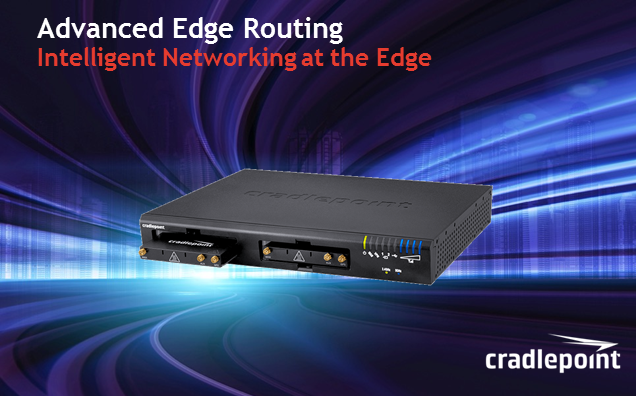 Join Cradlepoint to learn about solutions that allow network administrators to intelligently manage converged wired and wireless connectivity for a highly available connected experience at the Edge.